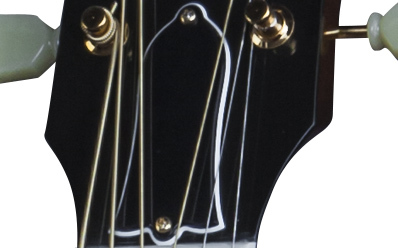 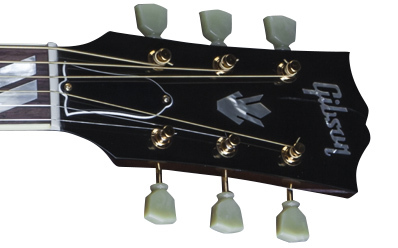 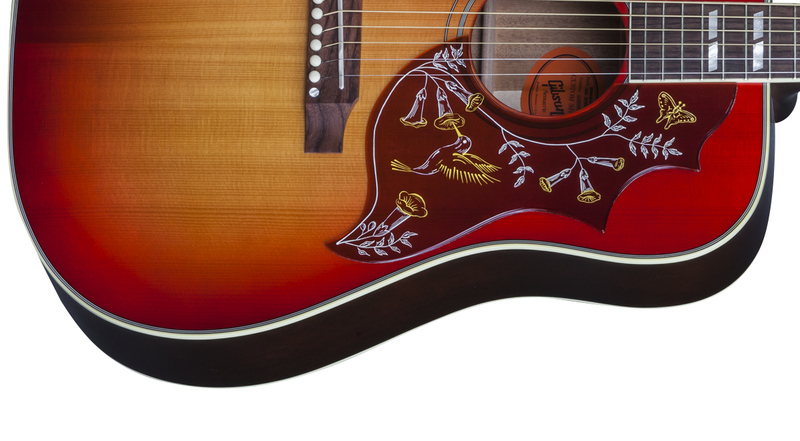 Since its introduction in 1960, the Hummingbird has ranked high among elite guitars, both undeniably unique in appearance and superior in performance. 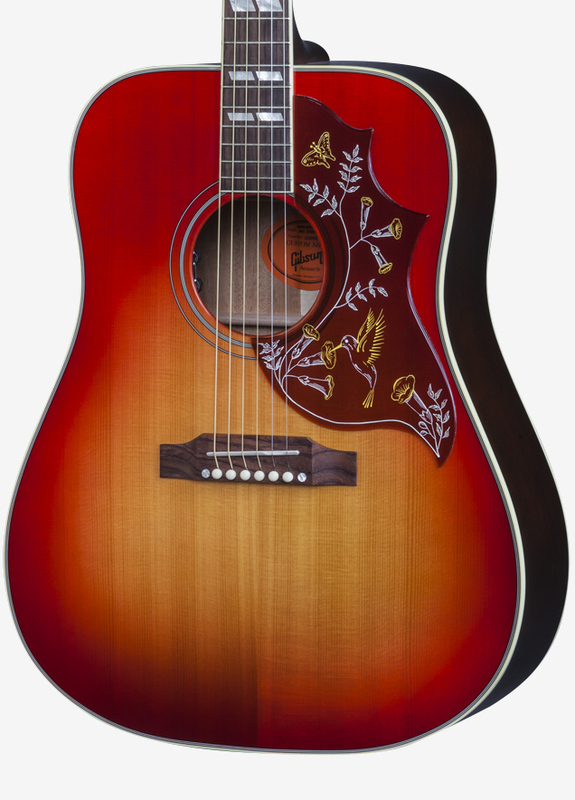 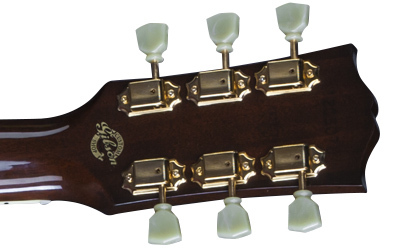 This December Limited Edition Hummingbird Red Spruce offers many upgraded features. 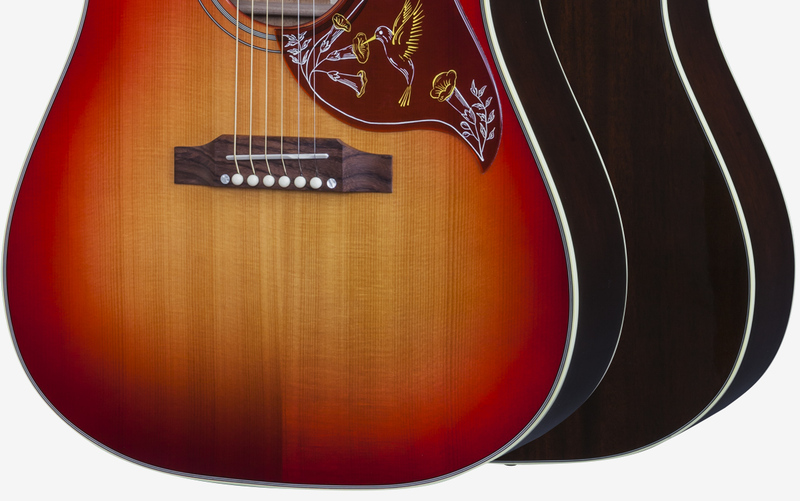 Sporting a beautiful Vintage Cherry Sunburst VOS finish, gold Gotoh tuners, historic-style Hummingbird pickguard, and an Adirondack red spruce top renowned for it's projection and tonal nuances, this unmistakable Limited Edition Gibson Hummingbird is one not to miss. 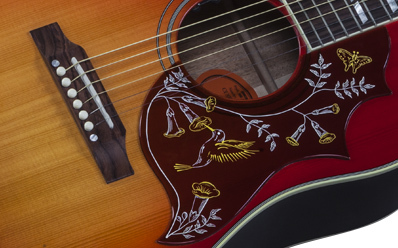 Limited to only 50 hand-made instruments. 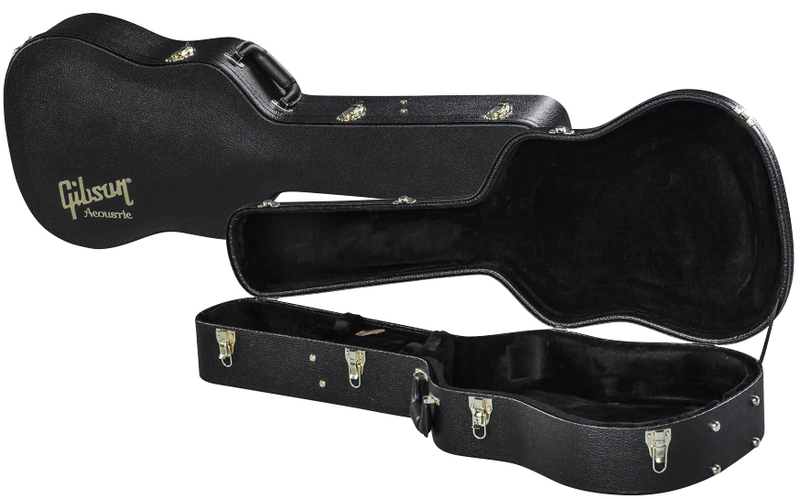 Premium setup: Utilizing state-of-the-art German engineered Plek technology to create the finest playing surface possible. 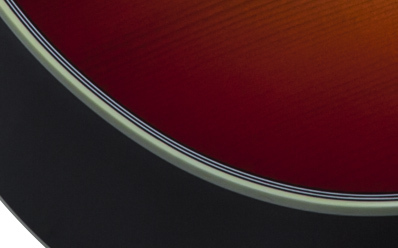 Hand finished for the world's finest feel and playability. 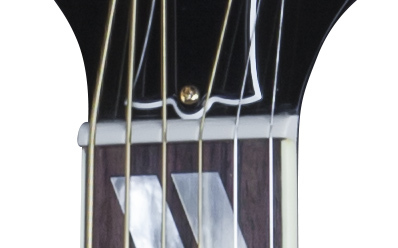 Thickness at Fret 1: 2.07 cm / .815"
Width: 4.38 cm / 1.725"